Hello Clubs, Groups & Committees! As an affiliated group of La Crosse County 4-H, there are so many opportunities, projects, and activities to get involved with. We know that organizing such groups isn’t always easy with jobs, families, and other things going on in our lives. So, this page lists resources for YOU to help make your 4-H experience the best one possible! If you have any questions about 4-H, don’t hesitate to contact the UW-Extension office at 608-785-9593 or at LaCrosseCounty4H@lacrossecounty.org. Did you know that the La Crosse County UW-Extension office has a ton of great kits, materials, and literature you can check out for FREE to use for a short period of time? Well, we do! Whether your planning an activity for your next club meeting or wanting to learn extra about one of your projects, look no further. To check out any of our office’s resources, simply fill out an Equipment Checkout form and send it to the UW-Extension office for approval. Click on the link below to see a full list of everything you can check-out from our office! 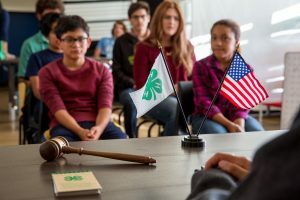 Any 4-H group, club, or committee that wants to be associated with the 4-H organization and use the 4-H logo are required to submit proper documentation called a “charter”. These charters are required to start any new group and must be renewed annually to keep a group in good standing. There are several different types of documents required to complete a charter. For more details or to learn how to start your own 4-H club or group, visit the 4-H Group Charter webpage! Charter Completion Checklist – Use this checklist to help you prep all the information you’ll need to submit your Charter! Every 4-H club is encouraged to inspire youth by providing ample leadership opportunities. One way to provide these opportunities is installing club officer positions each fall. Possible club officer positions are listed below, but terms will differ as laid out in an individual club’s Bylaws (submitted annually with club Charter-see above). Not all clubs and groups may have these positions-contact your club leader for information specific to your club, group, or committee. Having a hard time figuring out how to run or plan your club’s meetings? Check out the resources below for a planner template and a script for members to use! As a 4-H group, club, or committee, it is required that meticulous financial records be kept at all times. Below are some resources to help keep your group’s financials organized! If there is ever a question about money, please contact the UW-Extension office before any decisions are made. Expenditures Over $1000: When a 4-H Club/Group is considering a major expenditure (over $1,000), purchasing capital equipment (an asset with a useful life of more than one year), or accepting a capital equipment gift, the 4‐H Club/Group must secure approval from a 4‐H Youth Development staff member prior to the purchase/acceptance of the item. All group, club, and committee requirements and rules are outlined in the Wisconsin 4-H Youth Development Policies. In addition, there are specific rules to using the 4-H name, logo, and emblem in your group business. These rules are outlined in the 4-H Name and Emblem Policy Guide. It is recommended that group leaders review these documents often, as well as the Social Media Guidelines. 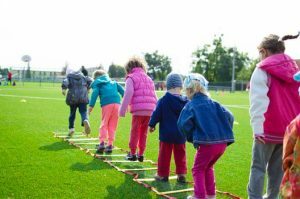 To distinguish roles and duties provide by the UW-Extension office and those that should be provided by your group, please review the Educational Roles document.